With her specialized training in ocular disease and eye trauma, Yuliya Bababekova, OD, can help patients with minor to complex eye issues. She cares for patients at Bronx Eye Associates in the Bronx in New York City. 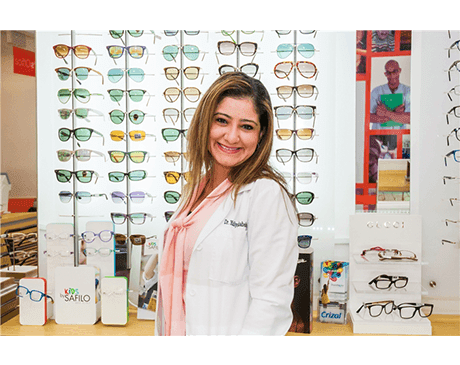 Dr. Bababekova earned her doctor of optometry degree from the State University of New York College of Optometry in New York City. During her studies, Dr. Bababekova took a special interest in chronic eye disorders and causes of vision loss, giving her the ability to detect and diagnose eye issues in their early stages. Not only does Dr. Bababekova regularly perform comprehensive eye exams, she also offers visual field testing and pediatric eye consultations for patients with learning disabilities. Dr. Bababekova even treats glaucoma, diabetic retinopathy, optic neuritis, and allergic eye problems, to name a few. When Dr. Bababekova isn’t busy caring for patients, she stays active in her community. She often volunteers with VisionWalk, the Special Olympics, and the New York City Coalition for the Homeless. Dr. Bababekova is fluent in English, Spanish, and Russian, and she’s currently accepting new patients. Bronx Eye Associates accepts the following insurance providers. Please contact our office if you have any questions.